Gary H. Prudian joined the firm in 2007. Mr. Prudian’s practice areas include general business litigation, consumer litigation, consumer class action defense, personal injury, commercial property, collections, and bankruptcy. Mr. Prudian's practice also includes defending clients in criminal and administrative matters. Mr. Prudian was a presenter for the California New Car Dealer Association's F&I Compliance Seminars in 2016 and 2018. Successfully opposed certification of putative class claims regarding backdated contracts under the Automobile Sales Finance Act, Consumers Legal Remedies Act, and the Unfair Competition Law. Successfully opposed certification of putative class claims regarding the disclosure of DMV fees under the Automobile Sales Finance Act, Consumers Legal Remedies Act, and the Unfair Competition Law. Successfully opposed certification of putative class claims regarding the disclosure of deferred downpayments as cash under the Automobile Sales Finance Act. First-chaired binding arbitration and prevailed in defense of all consumer claims against dealership, including fraud and breach of warranty. Obtained summary judgment in favor of dealership in lawsuit alleging fraud, fraudulent concealment, and rescission. Obtained summary adjudication in favor of dealership for alleged violations of Consumers Legal Remedies Act and Automobile Sales Finance Act, resulting in a dismissal with prejudice of all claims against dealership. Obtained summary adjudication in favor of dealership on all but one cause of action in a consumer case involving alleged fraud and violations of the Penal Code and Consumers Legal Remedies Act, resulting in a nuisance-value settlement on the eve of trial. Obtained order striking class-wide rescission for DMV fee disclosure claims. Obtained order striking class-wide rescission for "backdating" and "hold check" claims. Obtained order striking "tire fee" class claims under the ASFA, CLRA, and UCL with prejudice. Obtained multi-million dollar judgments for breach of commerical loan agreements. Mr. Prudian’s prior experience includes work in various fields such as intellectual property, landlord-tenant law, personal injury, and commercial litigation. Additionally, Mr. Prudian interned with U.S. Congressman Sander Levin (MI), and did advocacy work for a non-profit organization in Washington, D.C., While at USC Law, Mr. Prudian was captain of the school’s Jessup Moot Court Competition team, and served as president of the Middle Eastern South Asian Law Students Association (MESALA). Mr. Prudian also received the Jeffrey S. Turner Outstanding Commercial Law Student Award from the Los Angeles County Bar Association – Commercial Law & Bankruptcy Law Section in 2006. 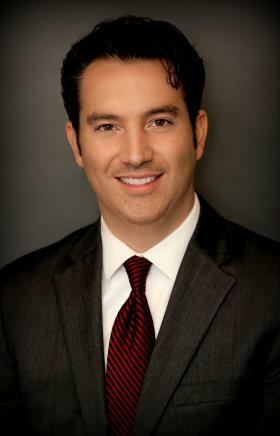 Mr. Prudian is a member of the Los Angeles County Bar Association and Armenian Bar Association. When not working, Mr. Prudian enjoys playing basketball, travelling, spending time with friends and family, following the sports teams from his native Michigan, and restoring his 1987 Dodge Daytona Shelby Z. He is a member of the Shelby Dodge Automobile Club. In recent years, dealerships across California have been hit with class action lawsuits under the Automobile Sales Finance Act (“ASFA”) for alleged contractual disclosure violations. These disclosure violations generally cause no damage at all to consumers. Nonetheless, under the ASFA, a contract may be deemed unenforceable as a result, and the customer could elect to rescind the contract. A customer electing to do so is entitled to a refund of all payments made on the vehicle, and a full release from the lien, in exchange for returning the vehicle. [i] When applied to class action claims involving thousands of transactions over a four year period, class-wide rescission could cause a dealership to incur millions of dollars in damages – a potentially catastrophic amount. Fortunately, we have had success convincing courts that the remedy of rescission was not intended for, and is not appropriate, for use in class actions. [i] The dealership may be entitled to an offset for use, see infra. Partner Gary Prudian participates in CNCDA F&I seminars.